The program acquaints the participants with the latest improvements in IT technologies and applications of different solutions. 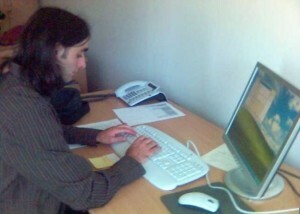 The participants improve their computer skills through a hands-on training in basic and advanced software. The beneficiaries also meet at local universities and schools to see how their IT structure functions as well as observe how IT classes are run. The program also offers a visit to an IT company for the participants to be guided through its departments and presented with the newest IT technologies the company works on as well as its model equipment. The participants gain practical knowledge in the usage of command systems and programming and learn about IT solutions used in various industries.